Want a sweet way to let your mother know you love her this Mother’s Day? We’ve taken decadent Oreo® cookies and dunked them in luscious white, milk, and dark Belgian chocolate. Then, to make them even sweeter, they’re lovingly hand-decorated with a feminine touch that your mom will love. 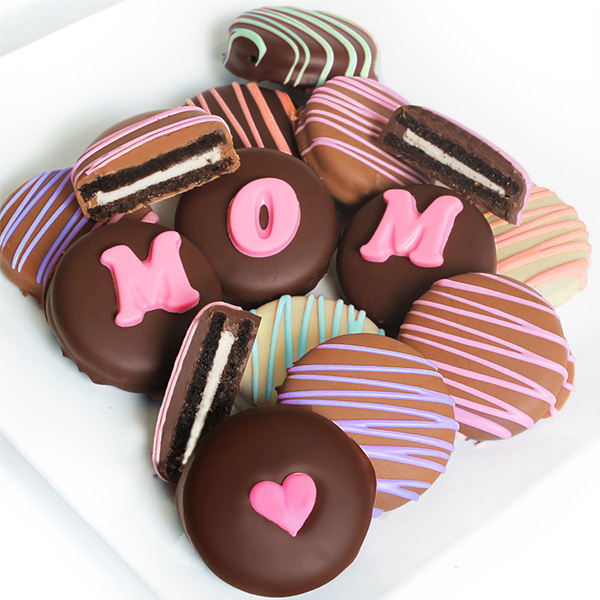 There’s no better way to show Mom you care than with these scrumptious Oreo® cookies!